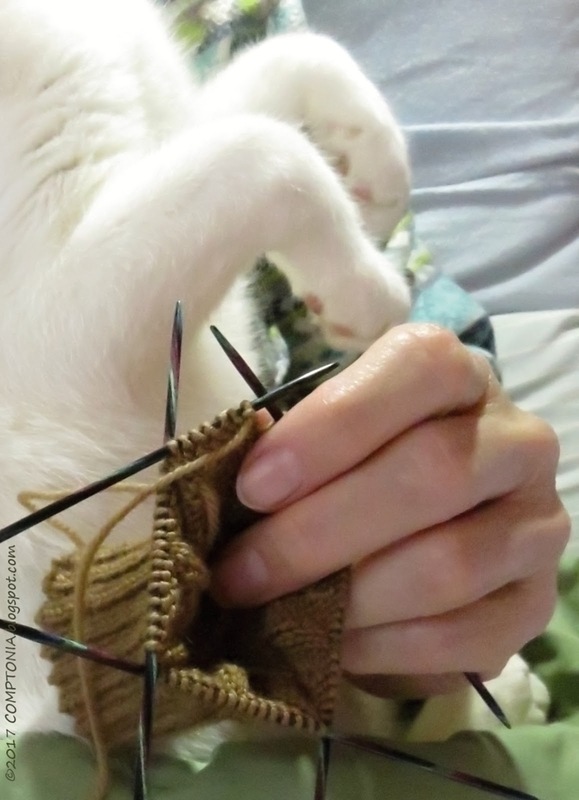 Della knitting a sock. Excellent form for a novice! The laptop was delivered tonight. I was watching for the Fedex truck and skated out with a flashlight to meet the driver walking up the driveway before he could hit the icy spots. Don't want anyone dropping the laptop! So far, I've only uploaded the 742 images on my camera (which shows considerable restraint, doesn't it?) and now I'm going to sleep. But I'll be catching up on blog-reading in the next few days, and will write and post some snaps soon.